Why Should Employers Hire that Twenty-Something Millennial? As a Millennial, I see how my generation is increasingly pinpointed as the social media obsessed, entitled, spoiled, lazy brat kinds of people. But, in all fairness, all generations have their negative characteristics. There are several unique advantages to hiring Millennials as we are slowly filling in the Baby Boomers shoes. Once upon a time, older employees were the bosses, and the younger employees took direction and didn’t challenge the status quo. Baby Boomers Creating A Workforce Exodus. Are You Prepared? Our workforce is rapidly changing. Every day, over 10,000 Baby Boomers retire from the workforce, leaving a huge gap to fill with mostly Millennials. With major differences between the outgoing workforce and the incoming workforce, companies need to invest in hiring and retaining the right talent, as well as understanding the needs and values of the emerging talent. Generation Y ‘ers were born from roughly 1980 to around 2000 (also called the Millennials). This group is the newest generation in the workforce, comprising about 40 million employees (and about 30 million more coming soon). Generation Y is vastly different from the generations who came before. A major difference is their ‘tech savvy-ness’ . These men and women grew up using technology that a good number of us were not introduced to until we were adults. They text, tweet, blog, google, and facebook as second nature. In fact, a study showed that almost a third of generation Y check Facebook before they get out of bed each morning! This is an information-at-your-fingertips generation. As a result, they express themselves by sharing enormous of amounts of information. And they do it publicly. Generation Y is more likely to connect and interact with friends and family on a social networking site than via email. The amount of information they share about their life is staggering. Tweets containing personal information and dubious photos are much more the norm than the exception with these web-embracing souls. Hiring Generation Y effectively is a completely different ballgame than the recruitment of the Baby Boomers and Generation X. The same can be said about checking their background. Should you check social media sites during the hiring process for information on Generation Y? -Create a consistent plan. If you are going to utilize social media in your hiring process, implement it across the board. Decide the sites you will screen, and keep a list of those sites. Do not suddenly decide to screen an applicant who is young or has a piercing or tattoo that you find unsavory. 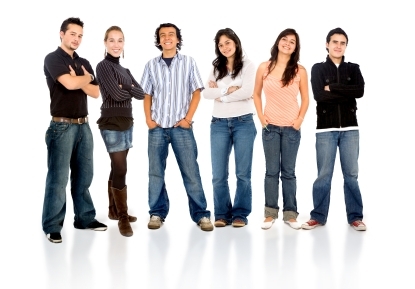 If you are not checking it for older applicants, do not check it for Gen Y. -Notify the applicant. Make the applicant aware that there will be a social media search, and get their consent. -Look for relevant information. Both positive and negative information can be found on social media websites. Designate specific good (awards, creative projects, community involvement) and bad (racial slurs, illegal activities, and violent behavior) information that you will be searching for, and stick with that plan. -Don’t be nosy. An applicant’s taste in men, swimsuit attire, partying habits, or personal communication with friends should not be considered in the hiring process. Do not violate the applicant’s privacy by friending him or her or by asking for Facebook passwords in order to get a closer look at personal information. Consider anything that the applicant has ‘locked down’ with privacy settings as off limits. -Allow for explanation. Not everything a person posts, tweets, or blogs is true. The applicant needs a chance to explain any negative piece of information that is uncovered. This is particularly important for Generation Y applicants, because of the sheer amount of information they have probably posted on the internet. -Use a third party to screen. Once you see information that is protected, you cannot ‘unring the bell.’ Viewing information regarding race, religion or sexual orientation can set you up for troubling issues like lawsuits. Hiring a reputable third party to conduct the screening will minimize this risk by removing the chance of seeing information that should not factor into the hiring process. Generation Y is an integral part of today’s workforce, and brings to the table many wonderful qualities. The hiring process for them should be thoughtful and methodical. With more and more millennials entering the workforce each year, all pre-employment screening policy adaptations should be made sooner rather than later.